It is time for: The 2010 Dan Miller Birthday Project, your chance to send a birthday wish for Dan on his 30th Birthday on September 4, 2010. I know it’s a little late, but WE CAN DO IT! Dan will receive an online Birthday Album with all your wishes. Please note the deadline is: September 4, 2010. Spread the word guys!!! Thank you. 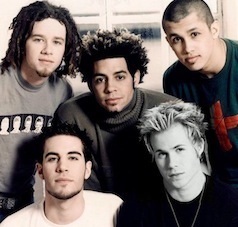 Join the O-Town Reunion Tour Petition! The O-Town Reunion Tour Petition: Let’s get the Original “Making The Band” Crew back together and back out there – For the Fans!! !